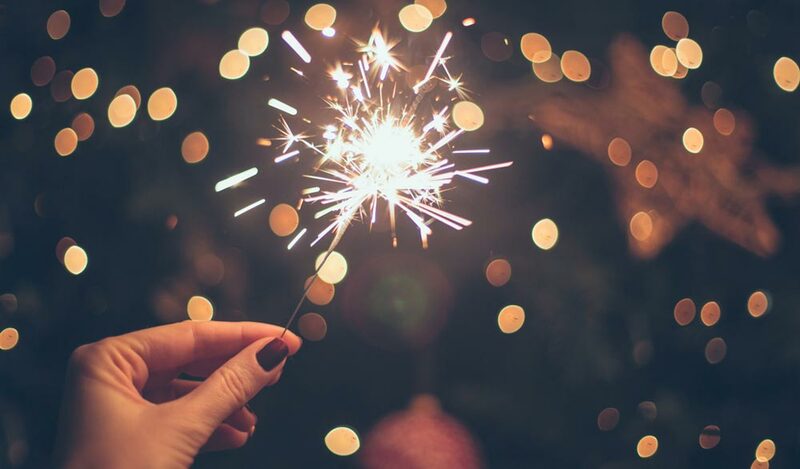 It’s that time of year again—when everything shimmers with a little extra joy and delight, when rituals and traditions inspire us to slow down, celebrate, and connect to one another. We could say that our traditions are what make these holidays what they are. Without them, we wouldn’t be able to recognize this time of year as anything other than mid-winter weather. So what is it we do that makes these days tucked at the end of the year so special? We decorate. Bold colors, bows and ribbon, lights upon lights, evergreens, ornaments, sparkles and sprinkles—this time of year, more than any other, we go out of our way to make everything we do, everywhere we are, beautiful. We cook. Big recipes—those favorite foods that are too difficult or lengthy for the everyday are brandished and splayed out on beautiful tables. The holidays give us a little more time, or at least a reason to go the extra mile with what we make. What we eat is at the center of who we are as communities, countries, tribes, and families, and no matter where you’re from, this season means special food. We BAKE. Beauty and food come together as the desserts pile high. Seasonal pies, cookies, candies and pastries are symbols of this season across cultures and time. What we bake reminds us of those who shared the recipes and those who love them. They are about love as much as they are the butter and sweetness. We reminisce. As we hang time-honored decorations, eat family foods, sneak extra cookies, these things call for stories and call for us to share them. We remember who gave us that ornament, who lit the candles, who caused a scene, who saved the day. Before any presents are revealed, we share the gift of stories. We get out and about. We make time in our schedules to spend time together. We go to parties, visit faraway friends and family, attend gatherings and services, and see special performances. These days are overflowing with chances to visit and connect, with the chance to experience some of the most vibrant things life has to offer. We give generously. Whether it’s for a family member or a stranger, we spend these days giving. We reach out, rally, gather around, and recognize the dignity of our neighbors, whether we know them or not. We take the time to choose the perfect gift for those most important to us, because the holidays give us a chance to remind each other of love and joy we might otherwise miss in the daily grind. We make new traditions. No two holiday seasons are exactly the same. If we’re lucky, we have new friends, new places, new recipes, new gifts, or new beautiful things this year that will become part of our traditions next year. We just have to watch for what these special days may unfold. What is it you’re most looking forward to this holiday season? What is your most beautiful holiday tradition? Wherever your holiday leads you, make sure to capture the moments and memories. You’ll be glad you did!